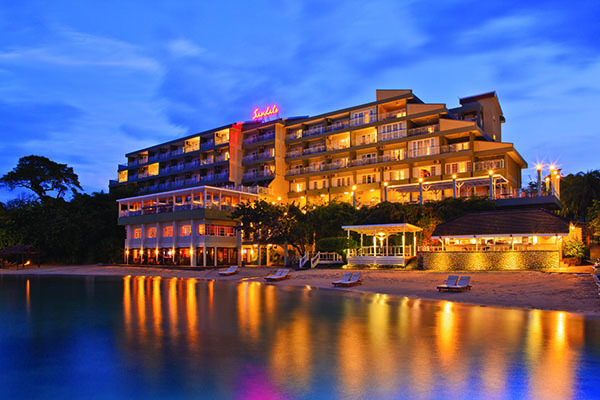 A new standard of luxury and sophistication has arrived to Jamaica. Sandals Resorts has debuted the All-Butler Village at Sandals Grande Riviera - an entire romantic enclave solely dedicated to pampering guests. The opening of the All-Butler Village marks the expansion of the award-winning resort’s unparalleled butler service, and follows Sandals Grande Riviera’s recent $60 million refurbishment. 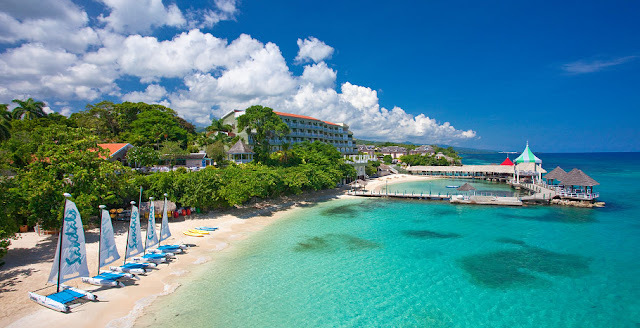 Set in beautiful Ocho Rios, Jamaica, Sandals Grande Riviera offers three unique experiences in one extraordinary vacation – a stunning beach, a mountainside Great House, and lush seaside gardens. Book now and save up to 65%* plus receive up to a $335* air credit. Tucked into the rolling hillside of the St. Ann Mountains, the All-Butler Village consists of exclusive top-tier suite accommodations boasting luxurious furnishings, both private and semi-private pools, and the utmost in comfort. Plus, every elegant and intimate villa features unprecedented white-glove service and discreet butlers offering flawless personalized attention. Trained by the prestigious Guild of Professional English Butlers renowned for instructing butlers and valets for private celebrities and nobility worldwide, Sandals’ butlers skillfully anticipate guests’ every need. At the All-Butler Village, no request is too small or unattainable. Guests are even provided a personal cell phone to reach their butler at anytime, which means no matter what time of day, butlers are only a phone call away. Always one step ahead, Sandals’ butlers are dedicated to creating the perfect Luxury Included® Vacation with unobtrusive attentiveness, from the moment guests confirm their stay to the second they bid them "adieu." With such pampering treatment, guests can truly focus on relaxing and enjoying the beautiful Caribbean and each other. The expanded Butler Service at Sandals Grande Riviera has been added to the following newly-renamed room categories: Honeymoon Estate Poolside Butler Villa, St. Ann Poolside Butler Villa Estate, Honeymoon St. Ann Poolside Butler Villa Estate, Bougainvillea Hideaway Poolside One Bedroom Butler Villa Suite, and Honeymoon Bougainvillea Hideaway Poolside One Bedroom Butler Villa Suite. Jamaica’s newest resort gives you more quality inclusions than any other resorts on the island and everything is included. What a amazing and romantic place Jamaica! Thanks for stopping by Elena. Yes, very romantic, who would not love their own personal butler! My hubby and I spent our honeymoon in Jamaica - stayed at another perfect spot - the Jamaica Inn.